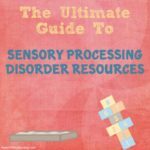 With 3 children that suffer from Sensory processing disorder there has been many different accommodations or modifications made to our daily life that make things easier. I wanted to share a few of the changes or things that have made our life easier, today I am touching on Sleeping Issues for any child but especially for the children who suffer from autistic/spd sleeping issues! Ethan for years has struggled with going to bed, when he was a newborn he didn’t nap at all, as he got older getting him to go to bed was always a major battle. He often wouldn’t fall asleep till almost midnight despite running and playing all day, and having a long period of relaxing things to help him get sleepy before bed. 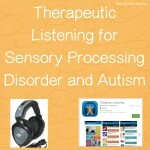 Our speech therapist at that time helped us put together a life saving tool for us, it was a Visual Schedule. 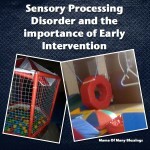 Because sensory, autistic, and even visual kiddos do sooo much better with a regular predictable schedule due to the fact that their world feels so out of control to them it is one thing they can control and they like to know what is coming up next, and the visual schedule does just that. We started using the visual schedule for Ethan when he was about 2 and it was the difference between night and day, he was excited to move the marker after each task was completed and would actually go to bed without all the battles. I was just willing to try anything that might work! Below is a picture of the visual schedule that was made for us. It is just 2 sheets of construction paper cut to size and then laminated together so that there are 2 different color sides. And then a strip of velcro going down each side so you can place your picture cards on the velcro strip. Here is a picture of our visual schedule (missing get pj’s on, brush teeth.) The left side is where all the activities that need to be completed are stored. We used the schedule every night for almost a year, and I am proud to announce we don’t even need to use it anymore, because it helped that much! 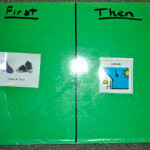 As the child completes each task, they move the picture cards from the left side to the right. 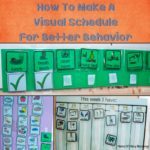 I cannot explain to you how much the visual schedule helped us through such a rough time, it was such a blessing that I am hoping me sharing it can help someone else looking for ideas to helping their SPD/or any child fall asleep better! Our next blessing after he was a little older was deciding to give him melatonin every night, which makes him fall asleep within 20 minutes and on top of that, he rarely wakes up in the middle of the night either! Amazon has a strawberry flavored chewable that makes taking it so much easier! Here are some resources for visual schedule cards. Do To Learn has a bunch of different printable picture cards, most of them are free. Use Visual Strategies has emotion and behavior printable cards. Trainland has tons of different printable pictures, go about half way down the page to find them. Speaking Of Speech has resources sent in from other teachers and therapists and has a very large resource of picture cards. 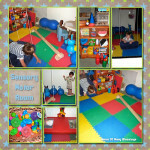 Another Mom with a son with SPD! My son sleeps just fine…if he can sleep with me. He’s 7. 😉 It’s very hard for him to settle down at night, but once he’s asleep he usually stays that way until morning. Everyone keeps saying, “Try Melatonin!” but I’m not sure about adding ANY medications because just about every one makes him MORE anxious, jittery and HYPER. Think I’ll check out more of your blog! LOL It’s nice seeing what other SPD families are doing! Very nice! We give Melatonin to our son that has autism. Whoosh….what a blessing that little pill is!!! Otherwise, it’s comparable to a newborn baby. These kids require very little sleep. At least mine doesn’t require much! Makes for one sleepy momma. And Our Side of the Mountain it has never made my son anxious, jittery, or hyper. Good luck! Ethan slept in our bed when he was little, he now chooses to sleep on the couch instead of his bed because he likes to squish himself between the cushion and the couch. I understand your fear of making your son more anxious, jittery, or hyper Ethan is the same way regularly and the melatonin has never done anything but calm him and its so much better than the meds the doctors recommended for him to take to help him sleep! Matter of fact my dad started taking it after he seen how well it worked for Ethan and now he says he can actually stay asleep at night because of it! Glad you found my site, hope it can be of help to you! I just started using a visual schedule. Our schedule is so different from day to day that I was hoping it would help. I’m the only one using it so far and Bobo is very mobile. I hope it will help in the long run. these types of displays so help, don’t they!? so glad that it assisted you so much with your kiddos! thanks so much for linking up to tip-toe thru tuesday! I love this what a great visual way to represent and get children involved – as well as working with SPD children I think this would work brilliantly with older toddlers as well. I have to start doing this with Bug. We have a pretty regular schedule and it would be nice for her to be able to visualize it so she knows what comes next! Thanks for sharing at A Pinteresting Party. I love the idea of a visual baord. 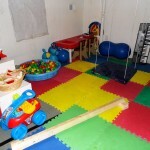 I work with special children and seeing their scheduling can make all the difference.